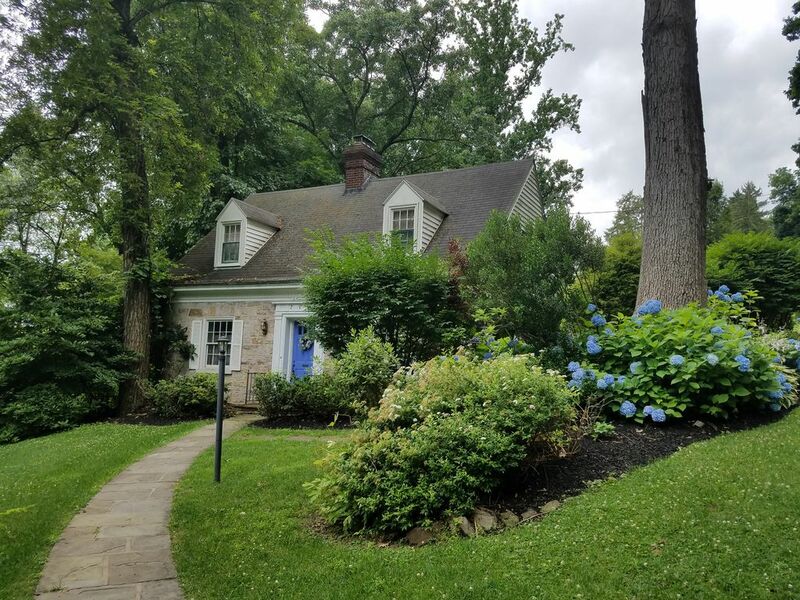 Lovely and eclectic hilltop stone house on College Hill only 5 minutes from Downtown Easton's vibrant restaurant and arts scene and 2 minutes from Lafayette College. Lots of living/entertainment space with large living room, newly renovated kitchen, sizeable sunroom and basement den. Two fireplaces add to warmth and beauty. There are 3 bedrooms with a queen, full and twin daybed with separate twin trundle, as well as twin daybeds in both the heated sunroom and basement, and 1.5 baths. Perfect for parents visiting Lafayette students. Pet friendly w/deposit upon approval. Very comfortable and completely stocked with everything you could possibly need! Had a terriffic stay in this charming and extremely comfortable home in a great location! Despite being a very short drive to many restaurants, grocery, access to highways, etc., you feel like you are in a secluded hideaway with tons of privacy and more than ample living space. All the amenities you could ask for. Highly recommended! From the very beginning of the process to book this site, our experience with the homeowner (Audrey) has been wonderful. Audrey answered all my questions completely and was amazing to deal with. Her home is beyond lovely, comfortable and conveniently located. We needed a larger home to accommodate our family joining us for an anniversary party. If anyone is considering renting this property, I fully encourage you to do so. You will NOT be disappointed. When my brother passed away during our stay, Audrey was very kind and supportive................I couldn't have asked for a better hostess/experience. Thank you Audrey/Mark for allowing us to rent your home. We enjoyed our stay during Lafayette college graduation. The house was clean, inviting and very close to campus.